Arabian’s Secret, the history of a creation. 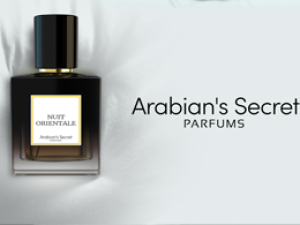 Arabian’s Secret opens for you the doors of a world of refined scents, where the tenderest fragrances answer each other and merge in an infinite parade. Out of the trends, you will find exclusive perfumes of character, created of most noble stuffs. Consequently sophisticated, extravagant, voluptuous or intimate, the perfumes Arabian’s Secret, distill charm and seduction, revealing unique personality, your own. Anchored in the present and turned to the future, related to the women’s, men’s or the mix, the perfumes, created by Arabian’s Secret invite you to follow the way, leading to your own essence.